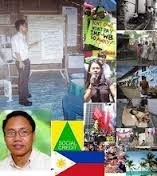 There seems to be a subtle plot to ignore the Social Credit Monetary Reform debt-free money creation idea as a proposal to help the people in the Philippines. In addition to lingering threats and attempts to my life and successive health crises, it is indeed very discouraging and disappointing for me because of the apathetic, complacent and even antagonistic attitudes of people in the Philippines and in the world. I have received very little positive feedback to my “book” in the last 7 years of while many Filippinos continued to experience the brutality of poverty that is caused by the savage cruelty of debt. Yet the urgently proposed usuryfree, debt-free money creation solution is ignored. If only people in the Philippines and in other places in the world - those whom I have approached personally and via emails would consider purchasing a copy of my book, I would earn sufficient income that I wouldn’t be in the current situation of dire poverty. I am trying to sustain our critical campaign operations and our survival in this impoverished region in the Philippines is in great jeopardy. If only there would be some income from this book, I would be able to finance some long-term for alternative solutions for sustainable projects such as organic farming projects for the poor impoverished families in the region and elsewhere in the Philippines. If only there would be some income from this book, I would have been able to help very poor, hungry and starving Filipino families and their malnourished children in the impoverished villages. I would have been able to help poor mothers, children and those suffering calamities. It seems that people are either selfish or complacent. What I get is mostly criticism and judgment! It seems that people just don’t care. Even those Catholic Cardinals, Archbishops, Bishops, Priests, Nuns, Lay Ministers seem not to care at all. The conspiracy is really at work in subtle ways to discourage those of us who dare to write and/or speak out. Even the Experts, Government officials and Conspiratorial powers are putting me down and ignoring the usuryfree solutions. My book 'The Savage Cruelty of Debt" pragmatically deals with third world debt - especially in the Philippines - otherwise there seems to be no honest efforts to eliminate third world debt and to reform the broken, usury-based, debt money system. This book was originally published as a fund raising venture for our survival here in the Philippines. The book is a compilation of my articles over the years on Social Credit monetary reform in the Philippines. The idea of monetary reform and the Philosophy of Social Credit is very remote and strange to most Filipinos, except with those very few who have the common sense to understand the meaning and impact to Philippine situation under debt-finance. The major goal of this book is to educate not only the native Filipinos but people of the western world also. The native Filipinos in the countryside know little of their financial-economic bill of rights. It is my hope that this book will help to mobilize them in the learning process and motivate them to action with a strong public opinion about the debt and poverty issues. The book describes the effects and the root-causes of poverty and pressures the Philippine Government to effect the necessary change through the reform of the money system by legislation. We need to be free of the usury-based debt-money system and we need to find the proven and workable schemes and mechanisms that will provide financial-economic security to every citizen from conception to the grave. Most of my articles in this book are pragmatic, straightforward, and bold enough to address the important issues that affect the Filipino people. The book is written without ambiguities for the common and direct understanding of Filipinos in the countryside. I do hope that the presentation of the issues in laymen’s terms, and the diagnosis of the root-causes of the problems of debt and poverty and the proposed solutions and ideas shall help to build and activate in a new way a coalition of common causes. We need to force a real change for the Philippines in this 21st century. The campaign for monetary reform is for all Filipinos, irrespective of educational backgrounds, titles, status, gender, tribal races, religions and sects, orientations, belief systems and even philosophical and political persuasions. According to latest Philippine statistics, there are more than 80 Million Filipinos, and 70% to 80% are in the traps of poverty. I prognosticate that this is a great opportunity for the large percentage of the population in poverty to reverse the situation by urgently reforming the money system to realize the rewards and benefits of economic security and prosperity due to every Filipino citizen. This is possible if there would be at least one million campaigners supporting monetary reform for the next five to ten years time. Today, I invite you to join in this campaign. Let this book inspire, stimulate and usher a new kind or form of unique non-violent revolution in the Philippines in the 21st century. This book demonstrates how dreadful most of the IMF's and World Bank's debt finance projects really are. This book educates all citizens in the countryside of their financial-economic bill of rights. It is our intent to mobilize them to form a strong public opinion against the odious usury-bearing debts, and diagnose the major causes of monetary poverty and thus provide best solutions for everyone. Knowing all the life-soul-killing effects of these evils of debt finance, we intend to pressure the Government(s) to implement the most necessary change through urgent reforms. The most important reform is to address the money system and change it from usury-based, debt money to a usuryfree, financial economy. The book proposes the schemes and mechanisms to provide financial-economic security to every citizen from conception to the grave, at a very low cost without discrimination, and with less taxes for everybody, and thus we will be able to invest in more efficient projects for the welfare, security and survival of the citizens. We don't need debates - just brainstorming! I am sure that we're all educated and convinced, and the most important we're all converted to truths. What we need is social credit monetary reform. What we need are inspirations, encouragement, unity of mind and goals, solidarity of efforts. We do not need ill-informed politicians bickering. What we have to do is to begin and continue the brainstorming technique - for gathering and developing, perhaps modifying the monetary reform ideas and proposals to solve the devastating money problems. Remember, billions of people across the planet are suffering, millions more are dying in hunger and poverty as a fatal result of the usury-based, debt money system. The psychological trauma being caused by the usury-based, debt money system is causing a litany of evils. It is my conviction that the nucleus of all evils stems from the usurers who control the usury-based, debt money system. Let us have a Social Credit brainstorming - a simultaneous technique by which Social Crediters, monetary reformers and other related groups with similar concerns and missions attempt to find "a common ground solutions" for the problems of debt, financial-economic crisis, poverty, hunger, etc. by amassing all our "practical ideas" spontaneously by the concerned peoples in adherence to Socred monetary reform opened to modifications. I would like to advocate to this process that is designed to obtain the 'maximum number of powerful ideas and opinions to demand for radical change, while pressuring the Governments and educating the peoples that we urgently need to reform of the present banking system. Let the Government create the money usuryfree and take the power of creating money away from the private banks. This will require updated legislation. Let us stimulate and enhance each other for these common goals. What we also need is creative money reform thinking rather than debate-based thinking. Let's create a universal consensus to demand a new usuryfree, monetary system. I live in poverty in the Philippines. I can't match the educational attainments and titles of others who may read this. This is all my plea to all Social Crediters and monetary reformers from all over the world. It is the quality of the idea that counts - not the rank of the individual originating it. We definitely need a total departure from the from the present usury-based debt-money financial system - this is the brutal truth. 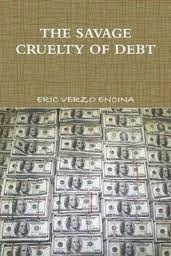 We must rebuild a new civilization to free all debtors from "THE SAVAGE CRUELTY OF DEBT." Thank you very much in advance for all possible help to realize the goals.